tec4vet – the modern way for technical employee training! 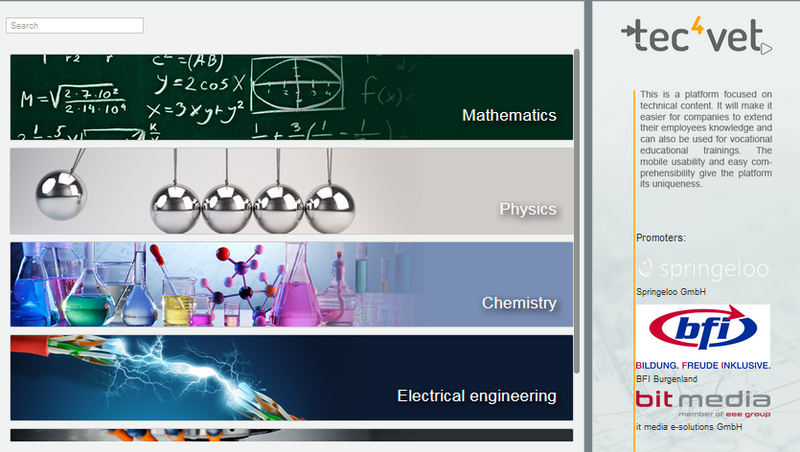 The platform provides high-level yet intuitive e-learning content for technical education. Be it mathematics, electrical engineering, mechanics – knowledge sharing for much sought after technical professions has never been easier! Modern e-Learning with a technical twist!